Today you are seven and Madelynne is exactly eight-and-a-half and Amelia is exactly three-and-a-month, and Gus is left out of the perfect counting because he was born on the 1st and not the 19th. That sets him apart, just as it binds you and your sisters and makes 19 something of a special number for us. But I want you to know, today, on your 7th birthday, that just because you share your days with one older and one younger, you do not ever have to be just like your sisters. You only ever have to be you. You’re pretty good at being unique. You’re the only one who really likes to work the garden with daddy, but you’re also the only one who hates being dirty. You’re the only one who falls asleep the moment you lie down, and you’re the only one who gets up when your alarm rings. You’re the only one who doesn’t like Chic-fil-a, and you’re the only one who would request meatloaf for a birthday dinner. You’re the only one who can wear skinny jeans, and you’re the only one with an Angry Birds shirt that you wear at least twice a week. You’re the only one who’s more stubborn than your daddy and more sensitive than your mama. You’re the only one who never gives up, not on spelling words, not on two-wheel bike riding, not on memorizing verses for AWANA. You’re the only one without tonsils, and you’re losing teeth much more slowly than Madelynne did. You’ve only lost one and I think the new one will be in completely before you lose another! 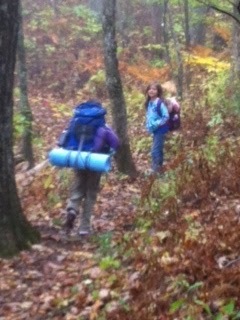 You’re the only one who doesn’t complain when hiking with Marmie, even though you’re still too small for a real pack. You’re the only one daddy trusts to help put up the tent, and you’re the only one who remembers to take off your shoes before you go inside. Daddy thinks you’ll be an engineer or an architect who pays great attention to detail; I think you’ll be a tenacious lawyer righting social injustice. You want to be a teacher like Mrs. B and right now, your greatest goal is for everything to just be fair. I’m sorry to tell you that can never be. Life isn’t fair and as much as we try, nothing is ever exactly equal. But I hope you are coming to realize that despite those truths, there is another greater one: Jesus is fair and His love is equal and lavished upon you everyday. 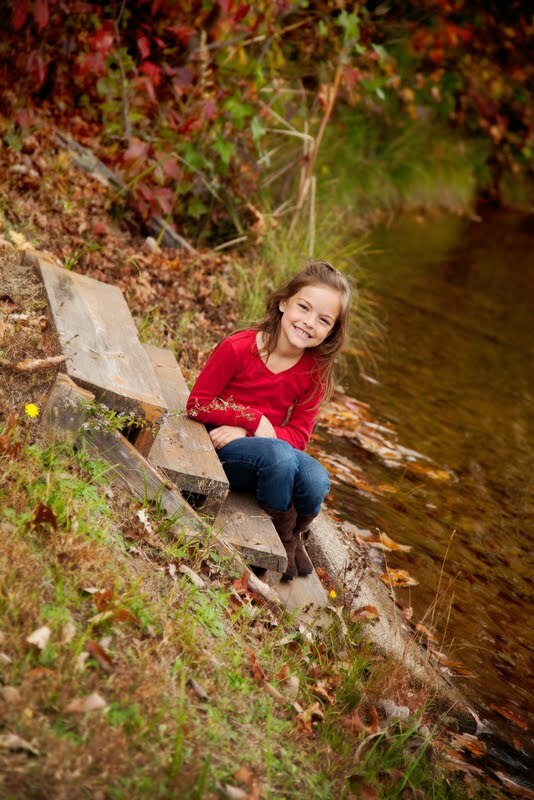 Happiest of birthdays to my Annabelle Faith, may your name remind you always to keep the faith, and may your strong-will remind me always that I want to do more than just raise a good child. I want to raise you to change this world. What a precious letter! 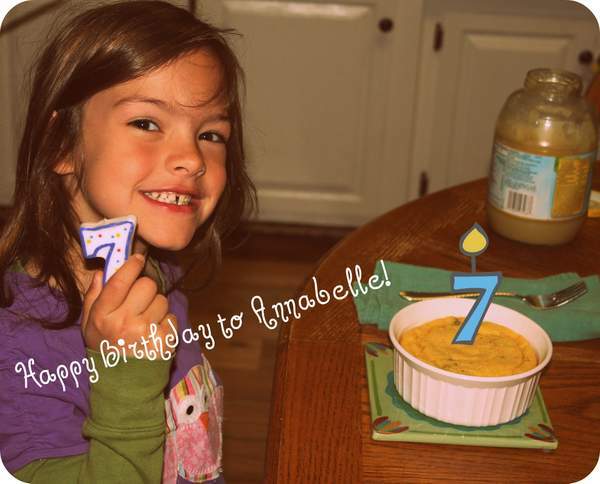 Happy Birthday to Annabelle! finally catching up post-Disney (well, at least on reading other people's blogs, not writing on my own!). love this sweet letter and all it reveals about your precious Annabelle. 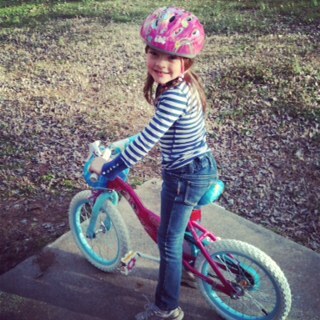 hope she had a great 7th birthday!